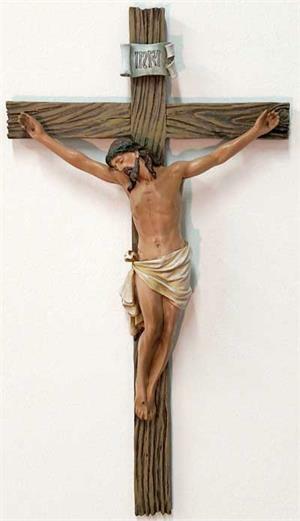 From the Renaissance Collection by Joseph's Studio, this beautifully crafted wall crucifix is a great gift idea. The resin-stone mix is carefully carved and painted, creating the perfect gift for a confirmation, RCIA candidate, or any other special occasion! The crucifix stands 13.75" high and comes boxed.